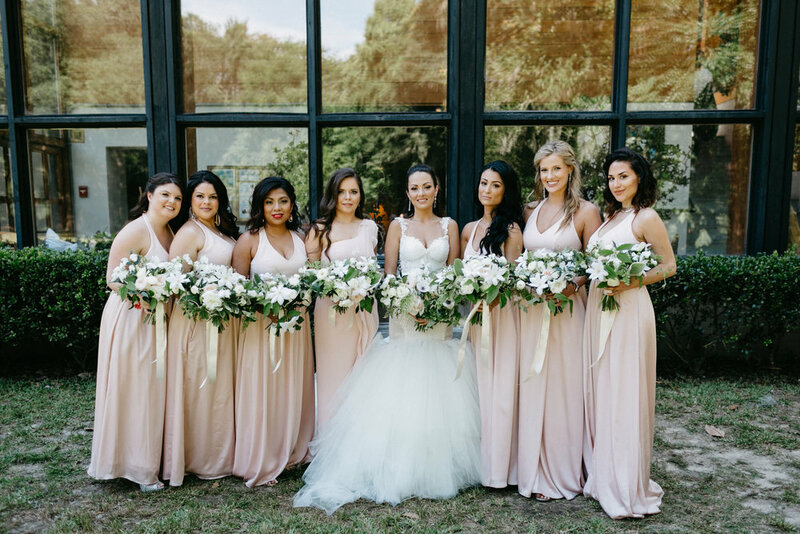 On a gorgeous spring day, Lorena + Thomas tied the knot at Middleton Place. Looking fabulous in her Galia Lahave gown, Lorena walked down the aisle in a picturesque ceremony in the octagonal garden, followed by a lovely cocktail hour with music provided by a Spanish guitarist. 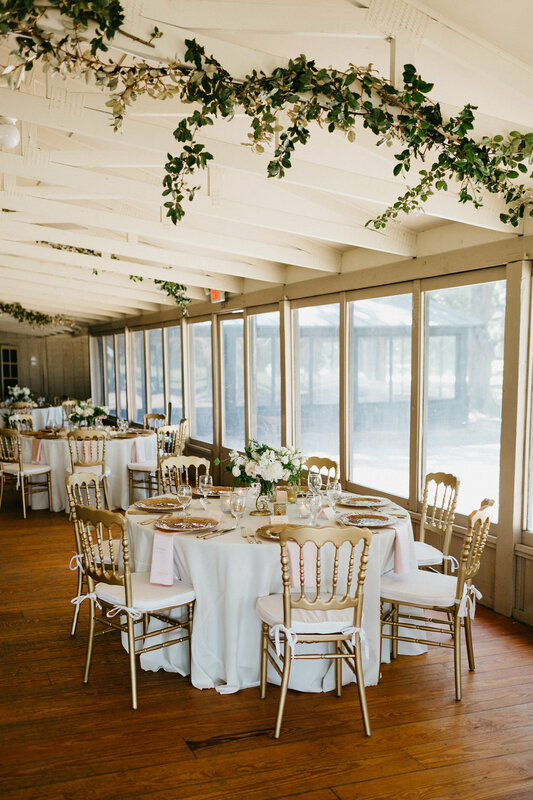 The Pavillion was covered in blush and white florals provided by Branch, with a touch of greenery and gold accents. 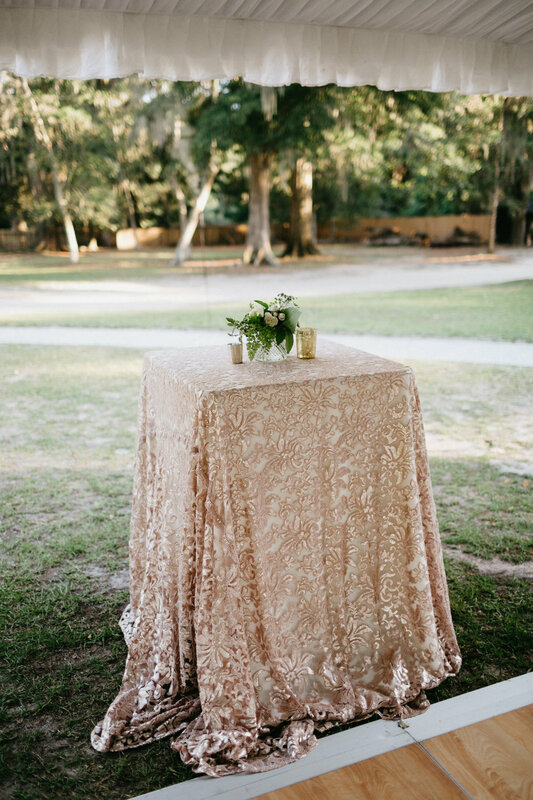 The head table had an amazing hanging floral installation, with a custom lace overlay, gold chargers and blush napkins. Under the tent guests partied away to Darby entertainment, with a beautiful floral chandelier, lounge groupings, and a black and white dance floor. After a fun evening, the couple departed through a sparkler tunnel as the new Mr. + Mrs. Costa!